Figured I haven’t done a nails look recently! 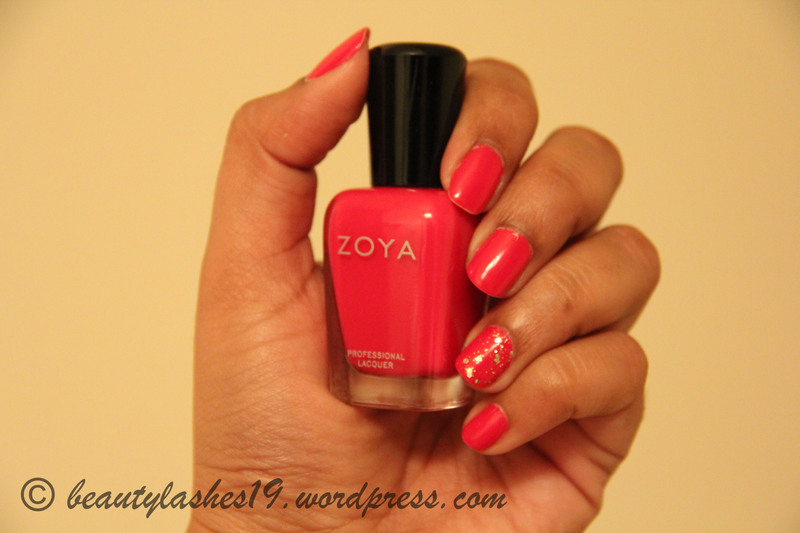 So, here’s Zoya’s nail polish in ‘Dita’.. It’s a cute cool toned pinkish red color.. Zoya’s website describes this as “Soft yet saturated purple-toned medium berry-red creme. For when you want a classic shade other than red.” I personally feel its more of a deep pink color than red.. 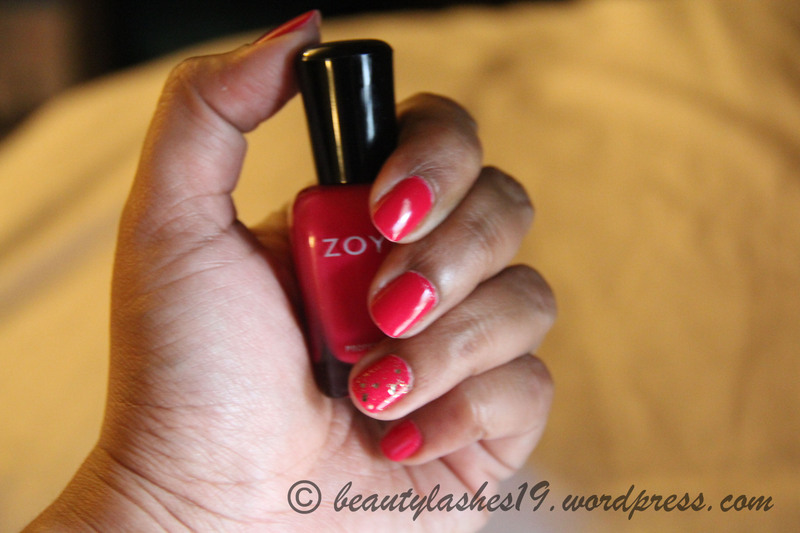 It has a cream finish and has an opacity of 5 with 5 being the most opaque in Zoya nail polishes.. Usually, pink nail polishes don’t flatter my skin tone but this is an exception and I think it would suit most skin tones..
On my ring finger, I just added a coat of wet & wild A004 ‘Glamorous’ from Fergie’s collection on top of Dita..
What color are you rocking this summer?